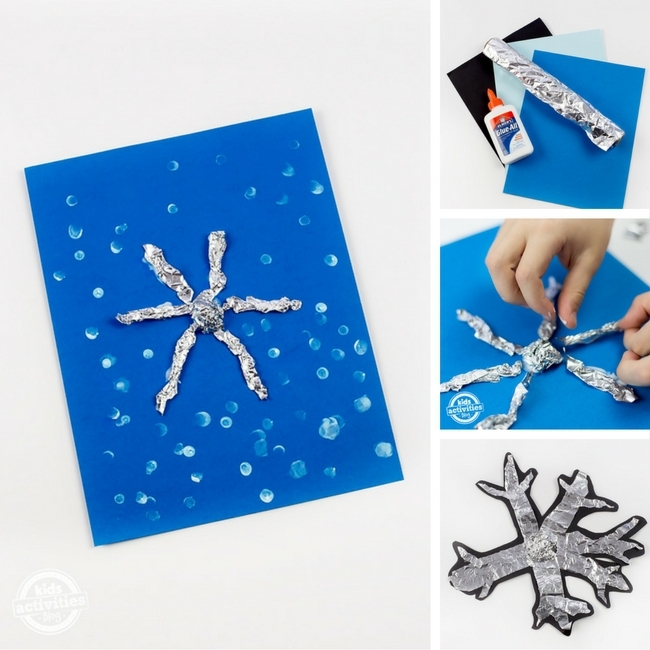 In this post, learn how to set up a gorgeous Foil Snowflake Craft for Kids, perfect for home, school, or daycare settings. 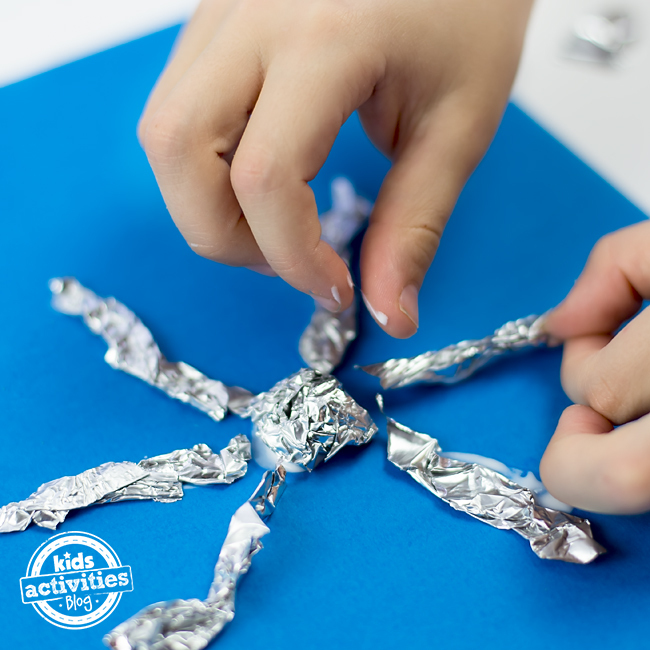 Kids of all ages will enjoy making easy and beautiful snowflakes with aluminum foil, paper, and glue! This craft is perfect for snowy afternoons at home or school, and is a great follow-up craft after kids have learned about the science of snowflakes, or read several winter-themed books. My boys love making new foil snowflakes every winter! 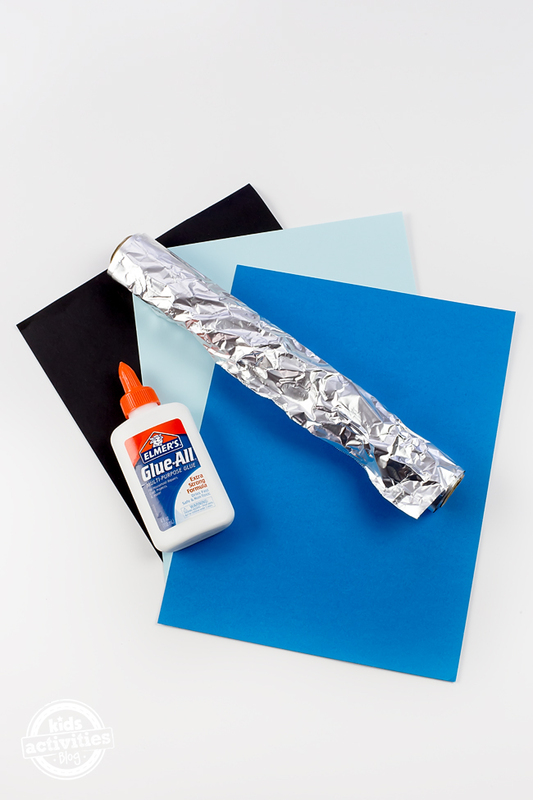 After gathering supplies, invite children to begin tearing off small bits of aluminum foil, then begin gluing them down to the yardstick in the shape of a snowflake. Snowflakes have 6 equal sides, so you can sneak in a little science and math lesson as well! 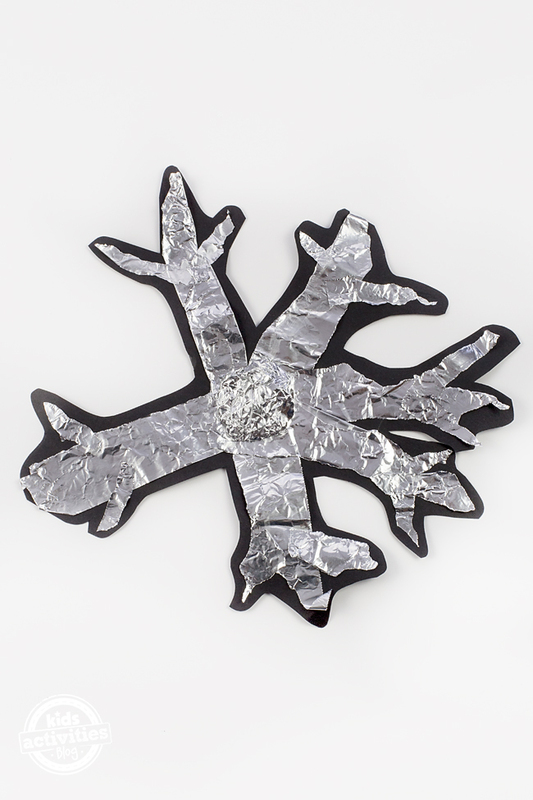 Some kids may wish to begin with a small ball of foil in the middle of their snowflake, especially since all snowflakes begin with a small bit of dust in the middle (more science fun!). The snowflakes look interesting when the shiny side of the foil is alternated with the dull side. Kids may enjoy dipping their finger into white paint to dot smaller snowflakes all around their large, shiny one. But other children may wish to cut out their snowflake, leaving a small border around the outside. Hang and enjoy! 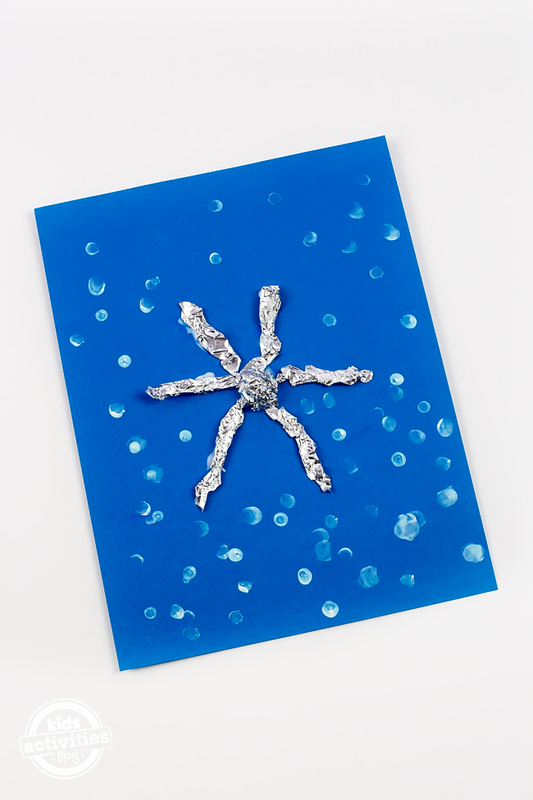 For more snowflake craft themed fun, be sure to check out all our snowflake crafts here. Or try this Frozen Inspired Snowflake Craft for Kids! JOIN US ON FACEBOOK FOR MORE CRAFT IDEAS!